Congratulations everyone…the results are in! On behalf of all St George SFC and South Sydney AFA members, welcome to the Sea Sea Marine 26th Sydney Sportfishing Tournament. Gale warning issued by BOM. The Committee has cancelled the Bluewater Section for Saturday the 30th March. We will advise on Saturday for Sunday. Today’s fish in Bluewater will count if entered. Gale warning Saturday- Northerly winds 20 to 30 knots turning westerly 35 knots in afternoon. Share with you fellow members. This website provides all information on joining in, the rules and organisational arrangements for MEMBERS OF THE PUBLIC who are invited to fish the Tournament. Our tournament continues to grow with our loyal sponsors providing great support with their goods and services. Please take time to meet our sponsors and visit/purchase their goods at every opportunity. Please enjoy our hospitality, make yourself at home, catch some great fish and thank you for coming. If you have any questions about registration, payment options, rules or anything else, just email us! Yes, want to register? Just email…couldn’t be simpler. ANSA NSW Club Registrations close 25th March 2019…clubs use this link. Individual, non-club registrations can be made at any time up to the day of the event (29 March). Just email us. Cleaning of fish is allowed at the Tournament Base but offal MUST BE bagged and placed in the dumpster/truck provided. For latest news, fishing reports, who's coming and other updates, follow our Facebook page. 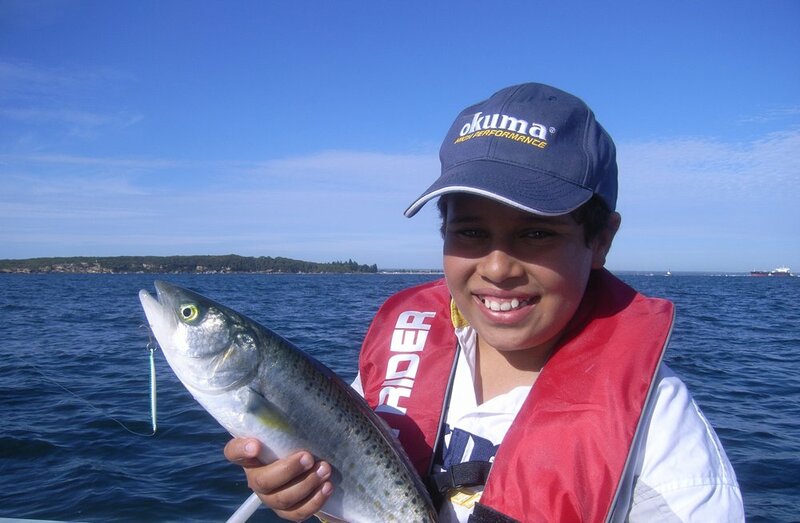 SNAPPER, FLATHEAD, BREAM, MORWONG, TREVALLY, BONITO, MULLOWAY, SALMON. Catch and Release is preferred but is not compulsory. Photos with ID cards are a must and will be provided to every entrant. Make sure you check the Rules. Or download an entire Rules document here. Port Botany Boat Ramp can experience long delays in launching and retrieving boats due to overcrowding. Parking is also at a premium in good weather events, so get there early and make sure you have enough time to retrieve your boat and get back to the Club grounds on Sunday morning / noon prior to weigh-in deadline. Toilet and shower blocks for both Ladies and Men are located on site. Anglers to supply own plates, cups and cutlery. Thursday BBQ supplied for early arrivals. First fully catered meal is a BBQ Friday evening at 6.30 pm on the 29 March, 2019. Use BBQs if you require cooking facilities prior to Tournament commencing. Saturday Night Raffle held at 8.30 pm with videos showing. area. Breakfast is Continental style, (breads, cereals, fruit etc) no hot meals, but BBQ facility is available. Refreshments will be available for purchase at the Tournament. House of Pie (Next to Matraville Pub on Bunnerong Rd.) Open 24 hrs for the best pies, bread, cakes, milk and drinks. 7 Eleven Bunnerong Rd - All foods catered for. It is now a legal requirement for anyone who is rock fishing anywhere in the Randwick local government area, including children, or anyone who is helping them rock fish, must wear a lifejacket. This is also recommended for all other rock fishing areas. Make sure you read our Safety notes. Sat Breakfast: 5.00 am Continental only or BBQ available if you wish to cook. Sunday Breakfast: 5.00 am Continental only or BBQ available if you wish to cook. Breakfast is Continental style, (breads, cereals, fruit etc) no hot meals, BBQ facility is available. Raffles (one per day) on Saturday evening and Sunday presentation. Click here to download a club registration form. George Pratt Length Only Species Awards (Snapper, Flathead and Bream). Catch and Release is preferred but is not compulsory. Length Only Species Awards (Kingfish, Morwong, Trevally, Bonito, Mulloway and Salmon) Catch and Release is preferred but is not compulsory. Photos with ID cards are a must.